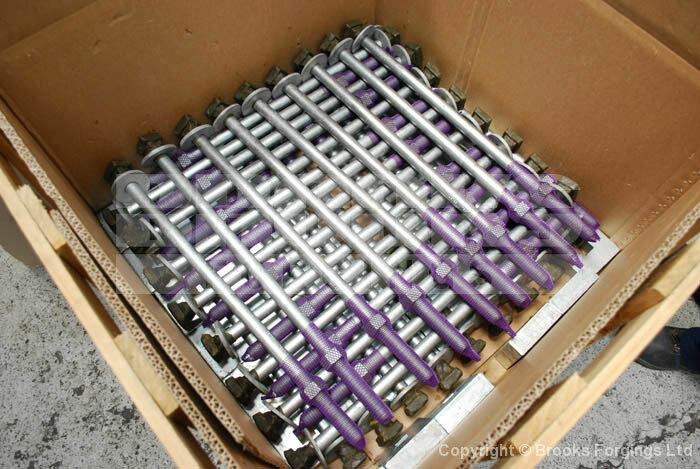 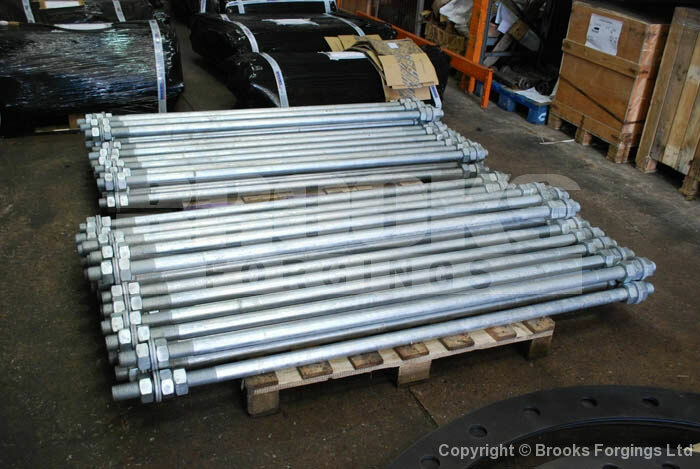 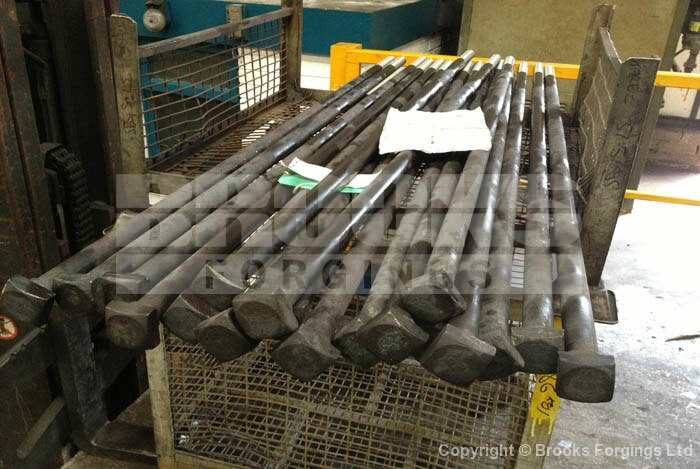 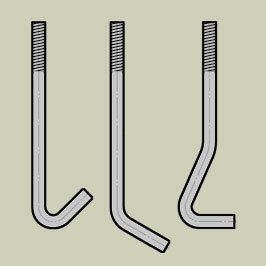 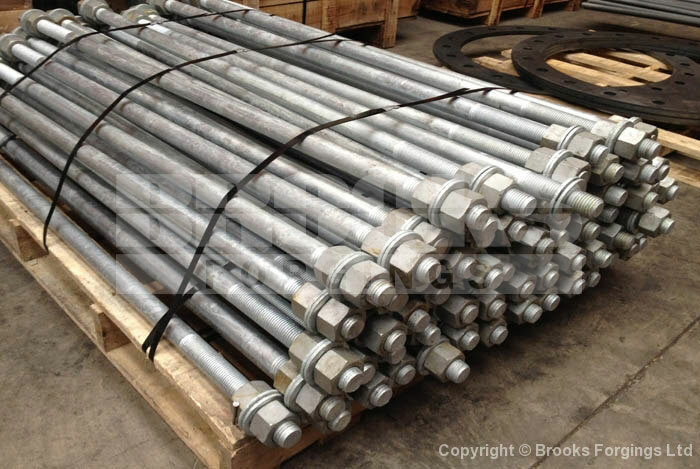 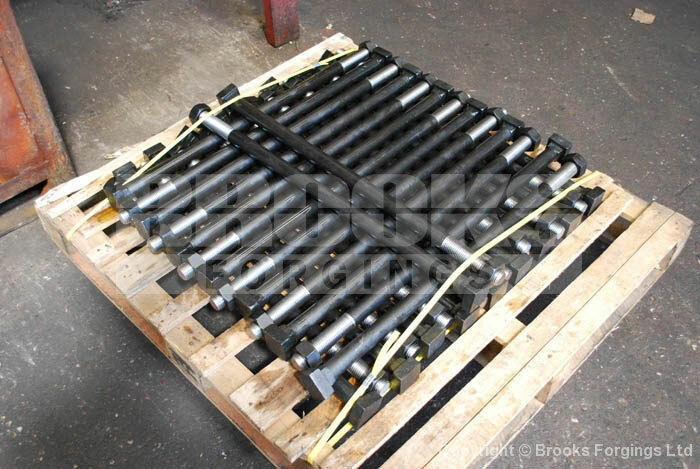 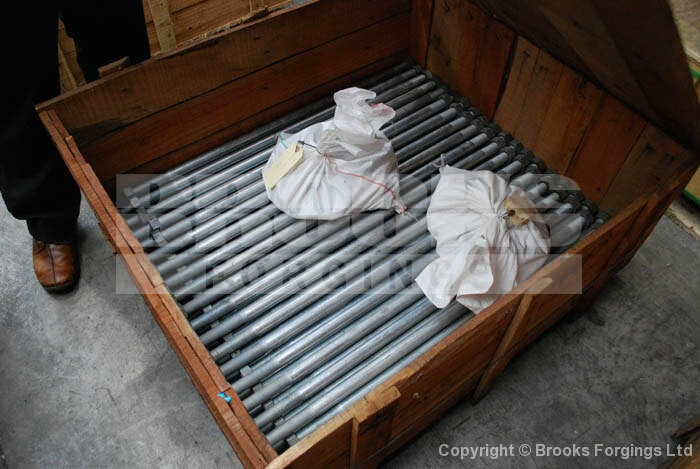 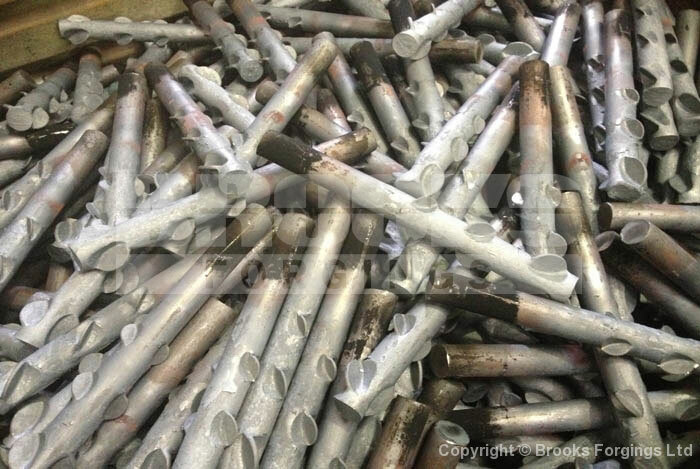 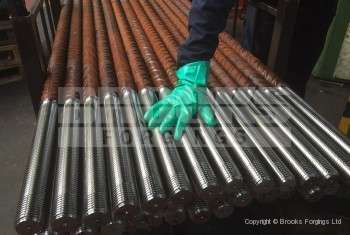 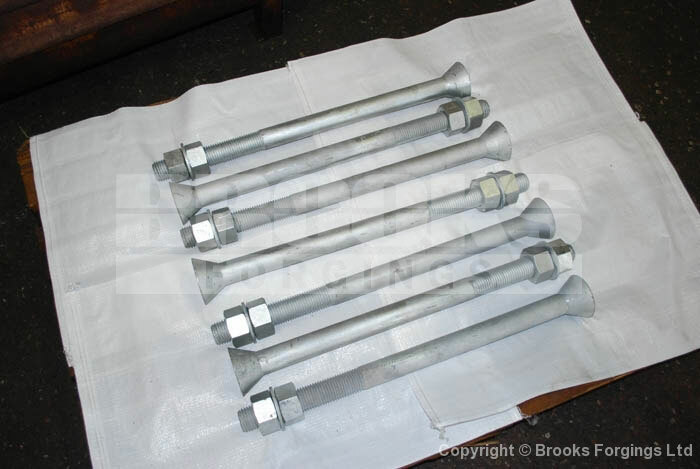 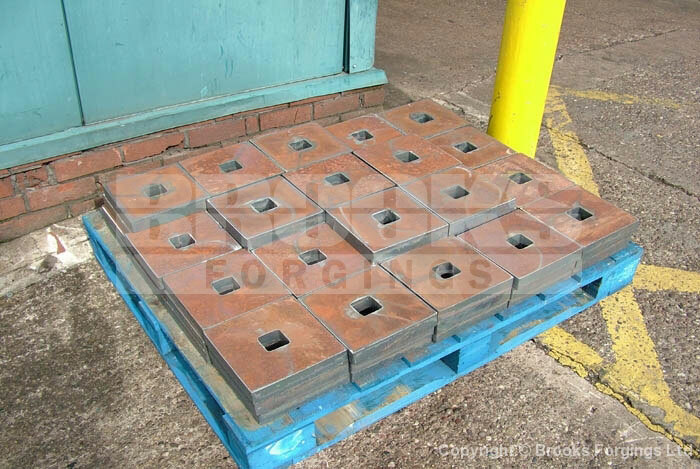 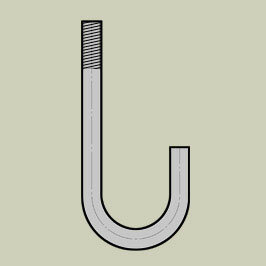 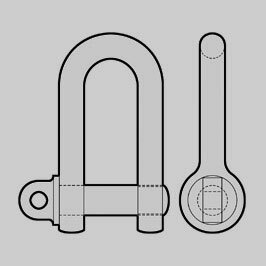 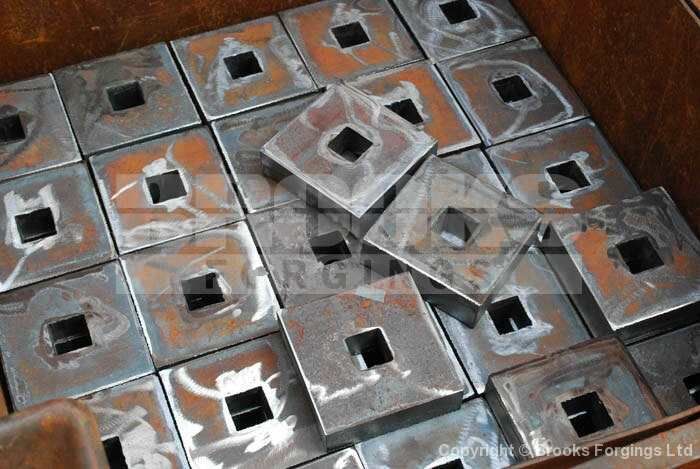 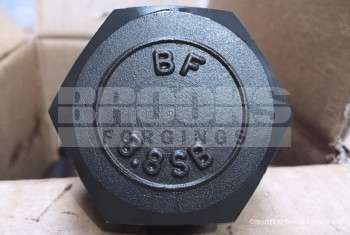 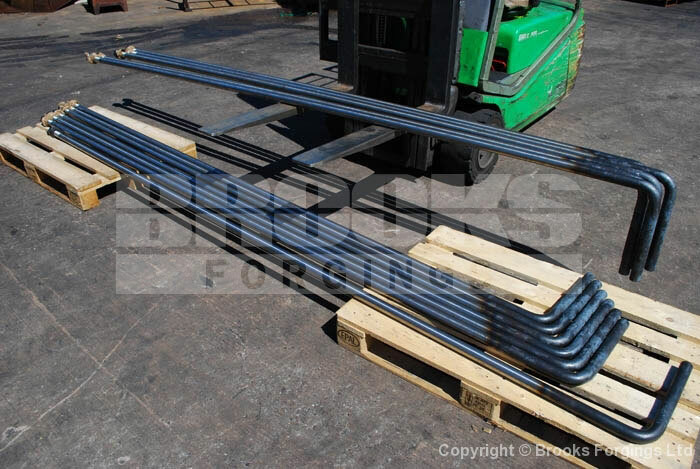 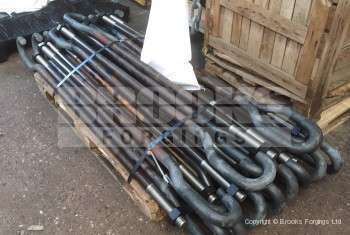 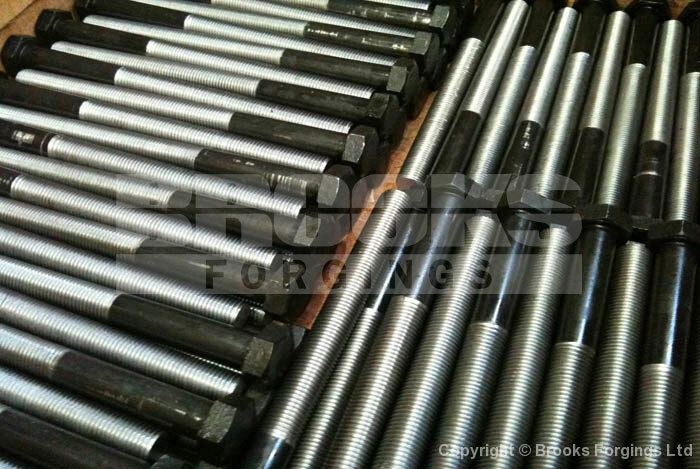 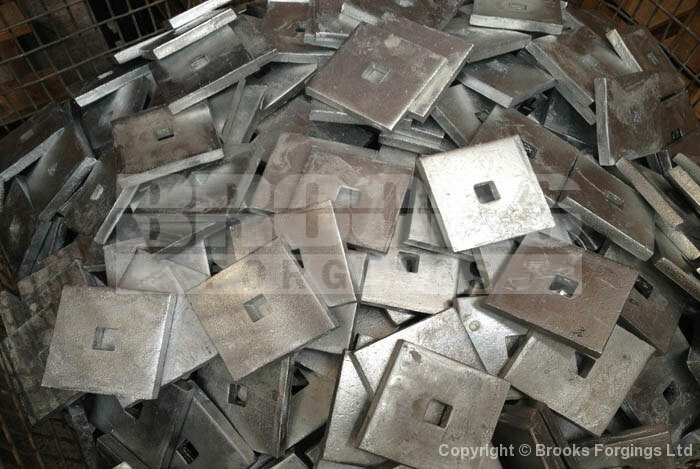 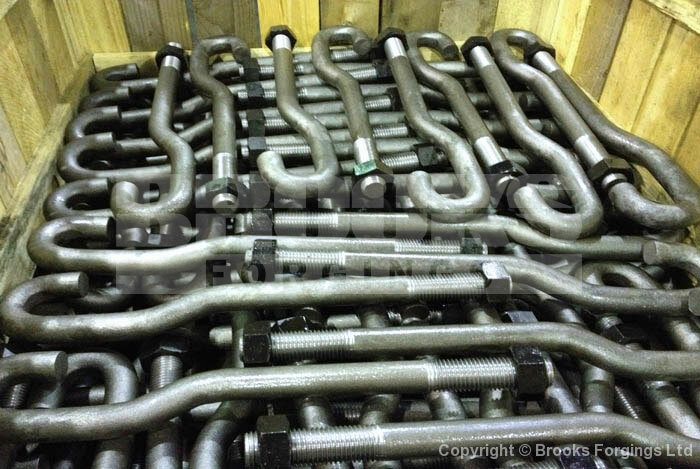 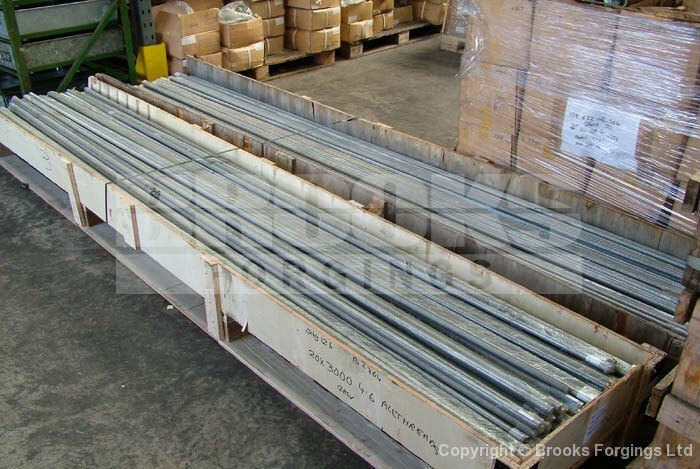 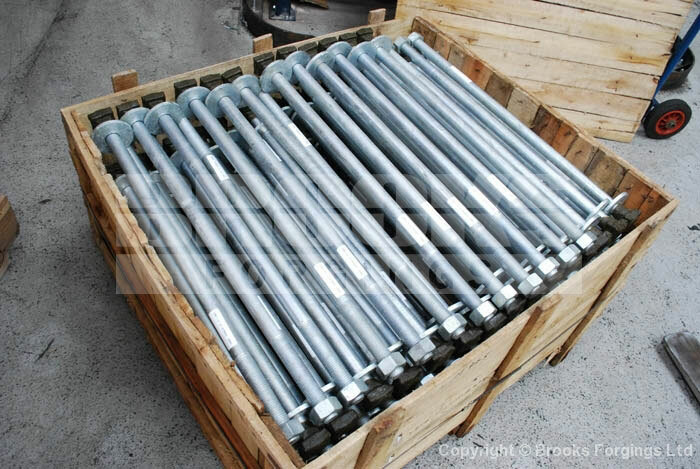 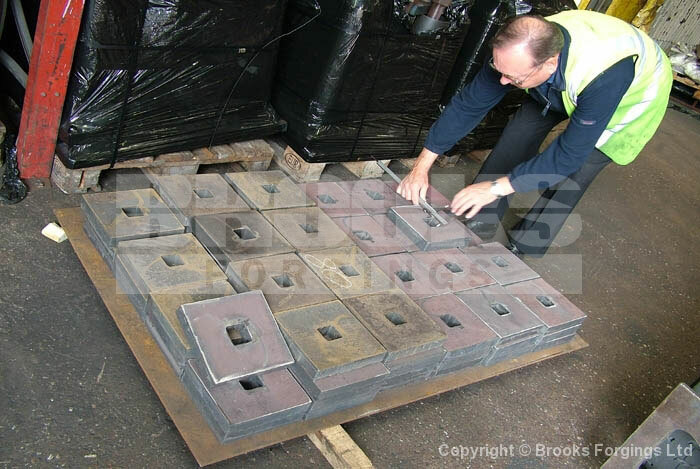 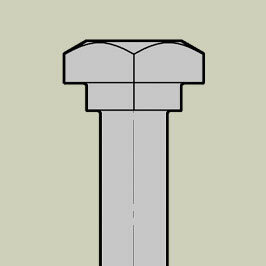 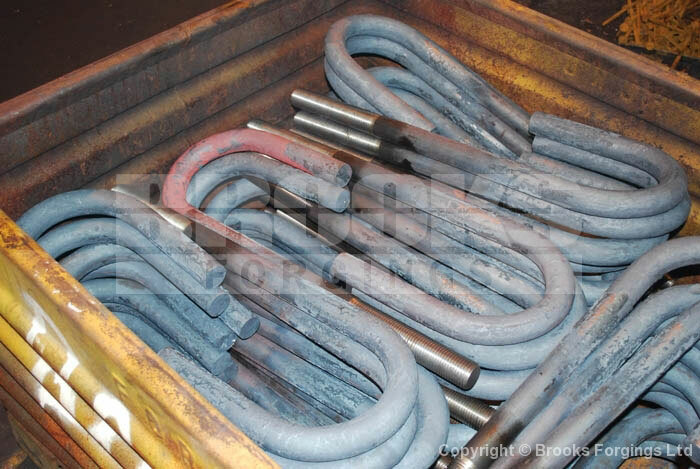 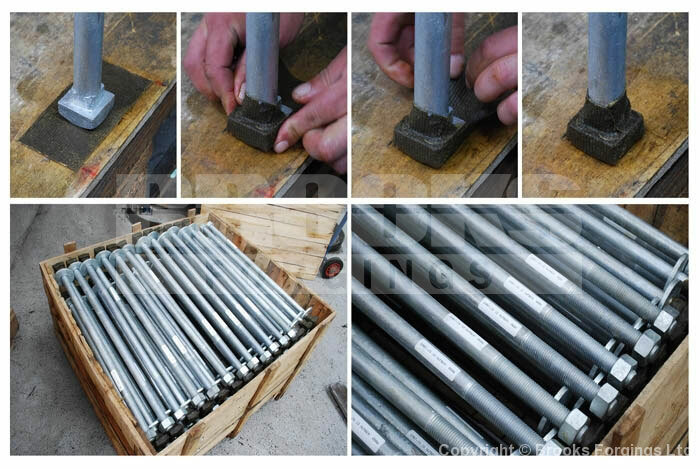 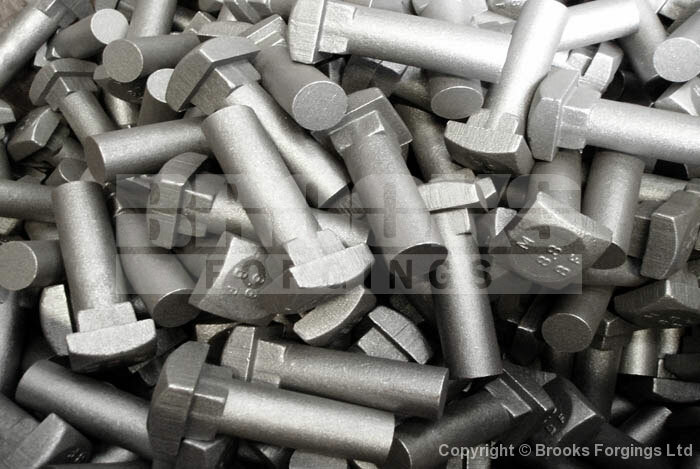 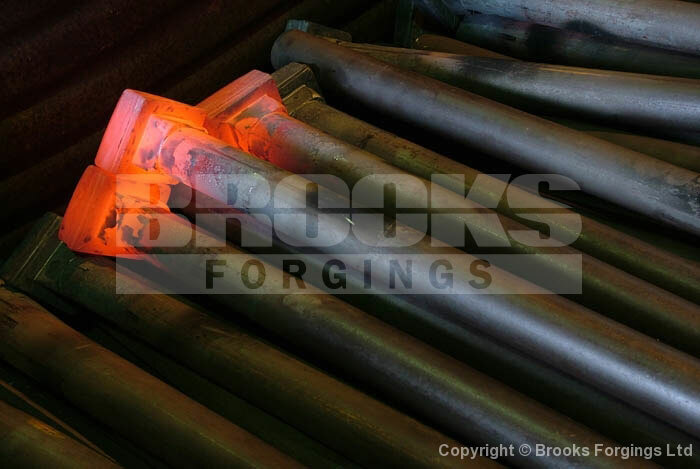 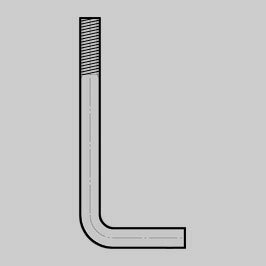 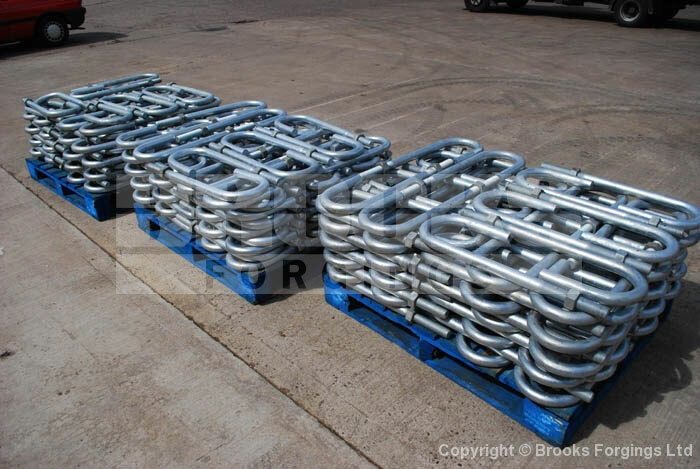 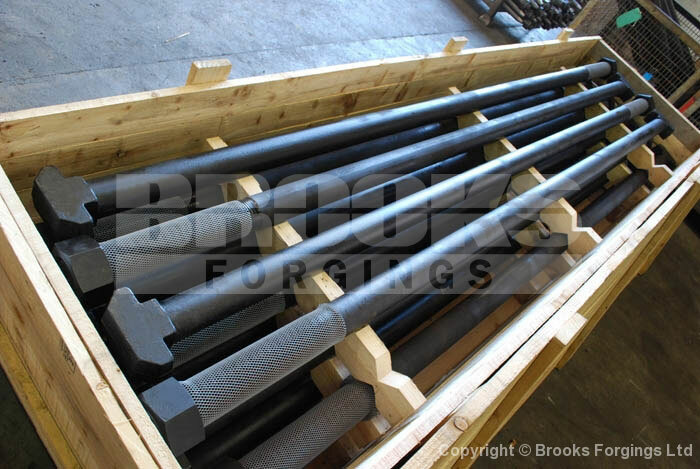 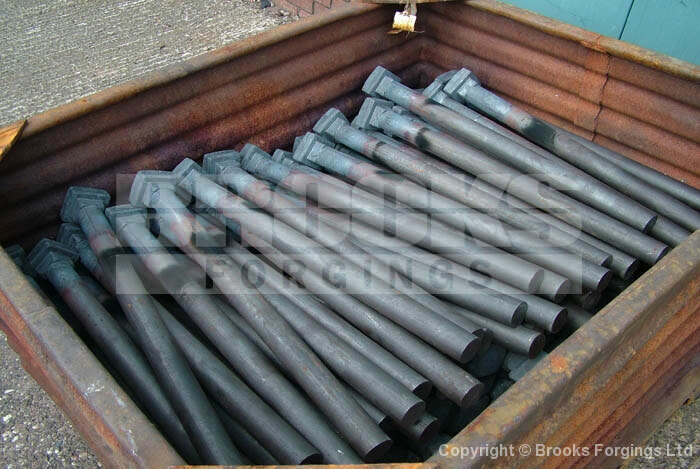 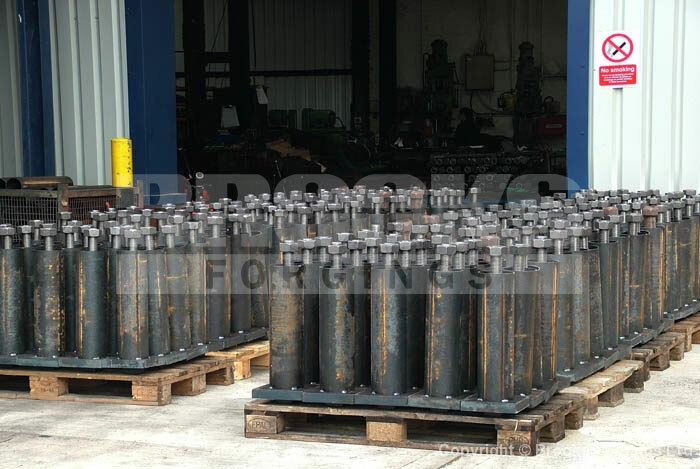 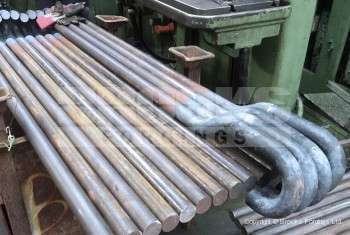 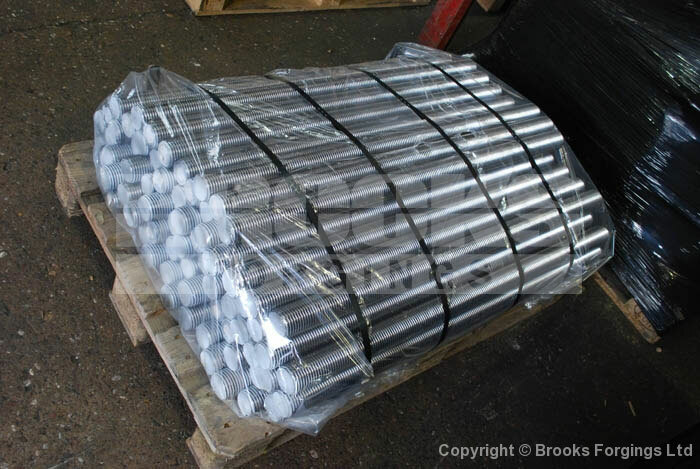 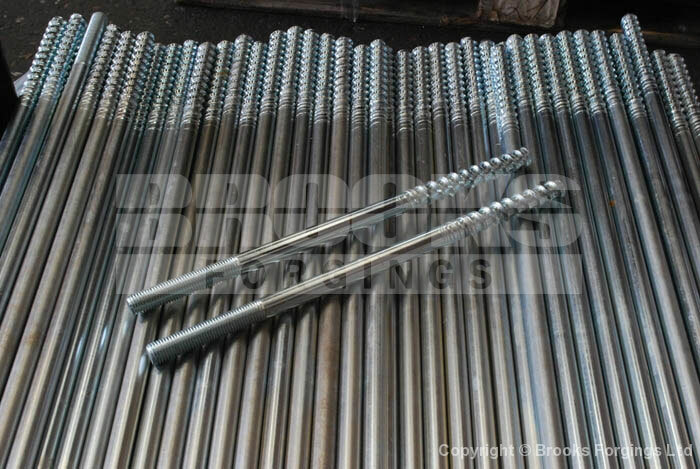 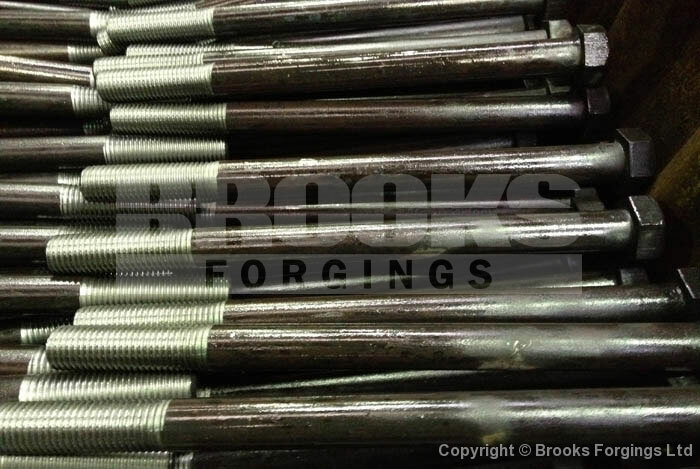 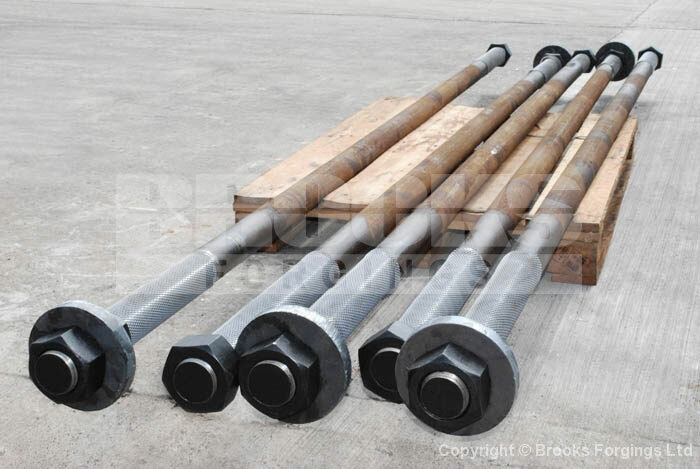 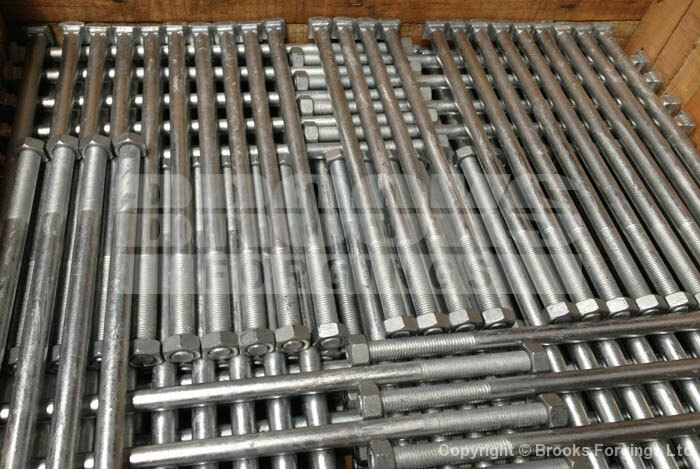 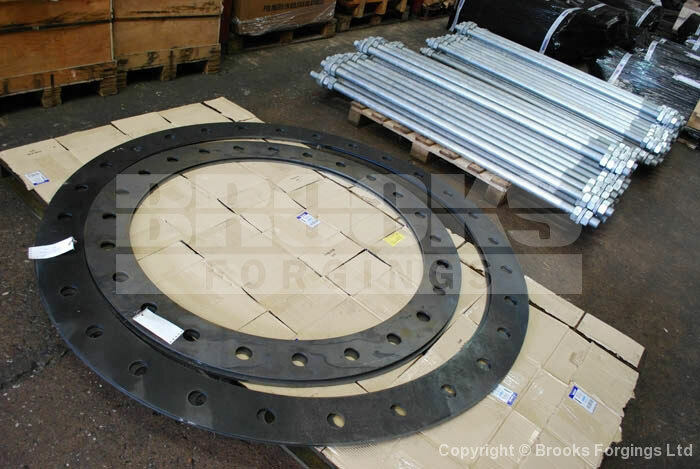 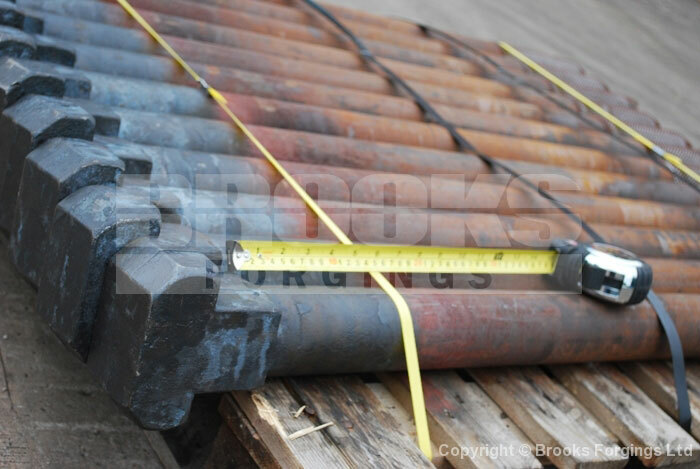 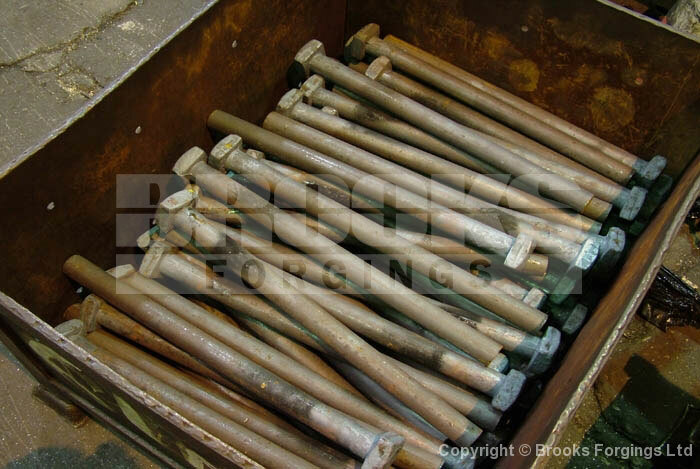 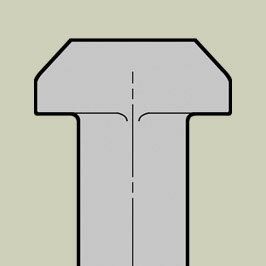 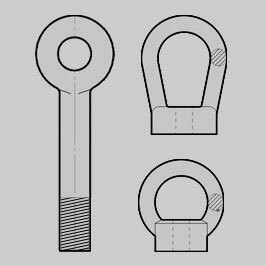 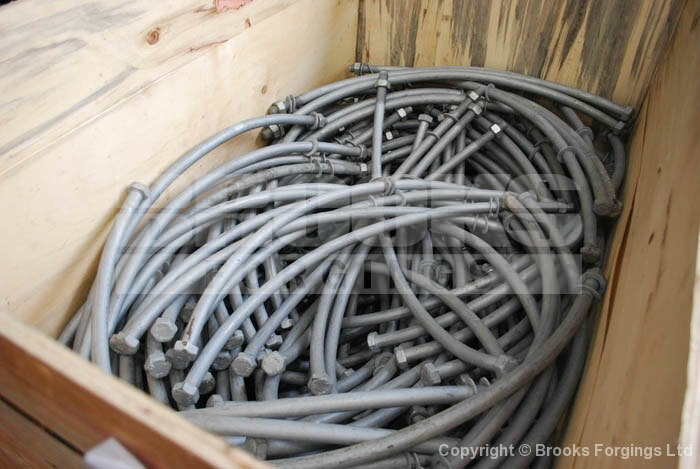 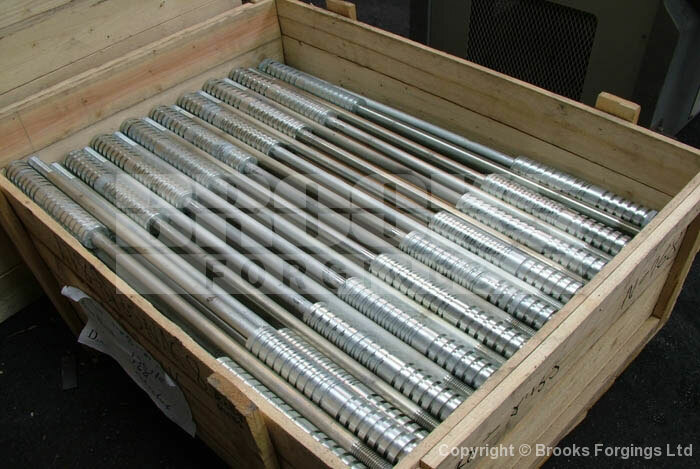 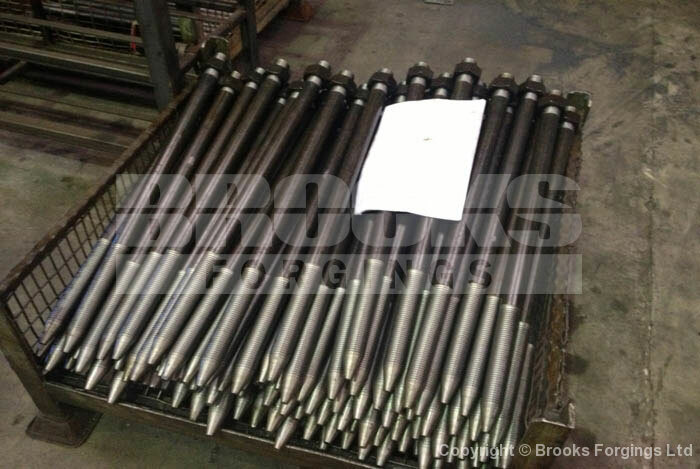 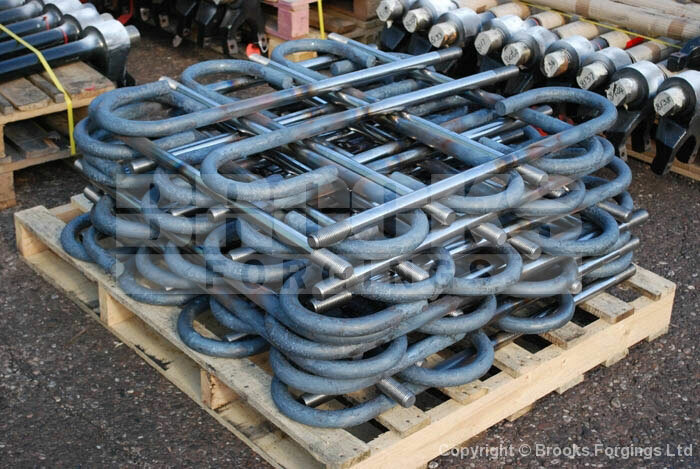 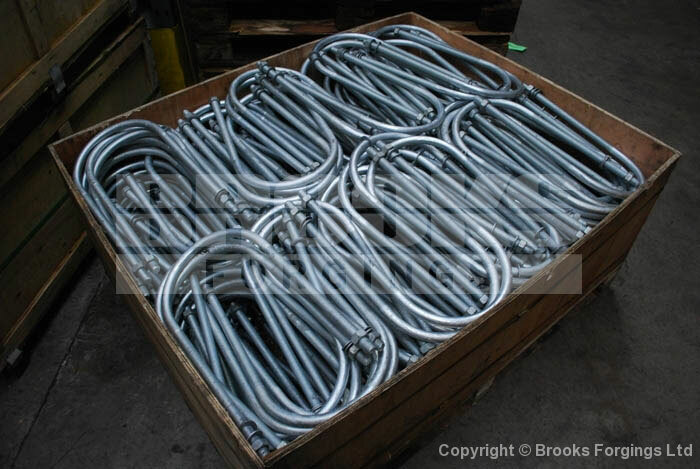 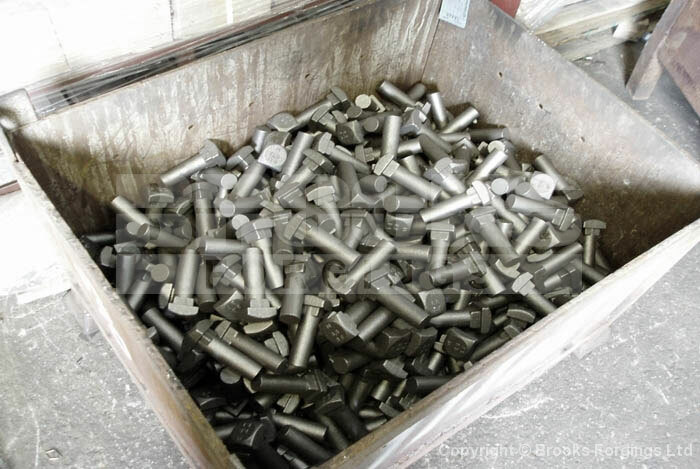 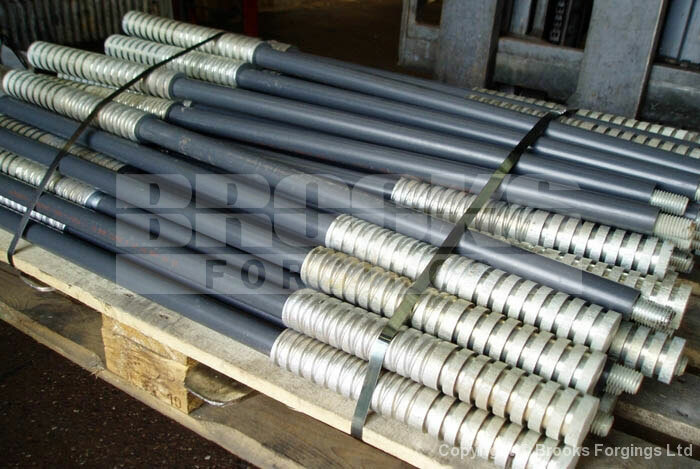 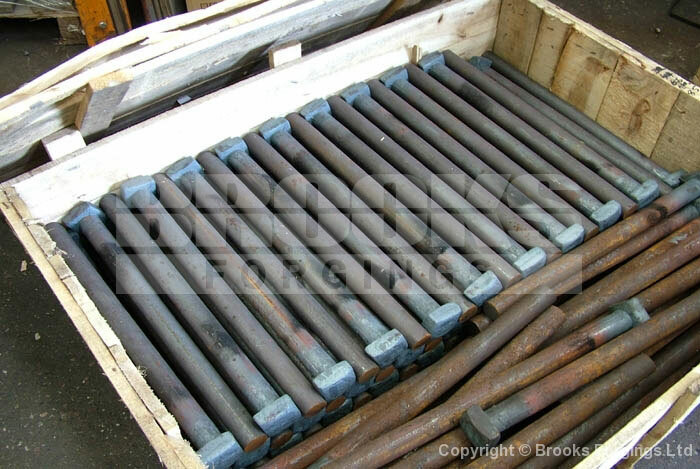 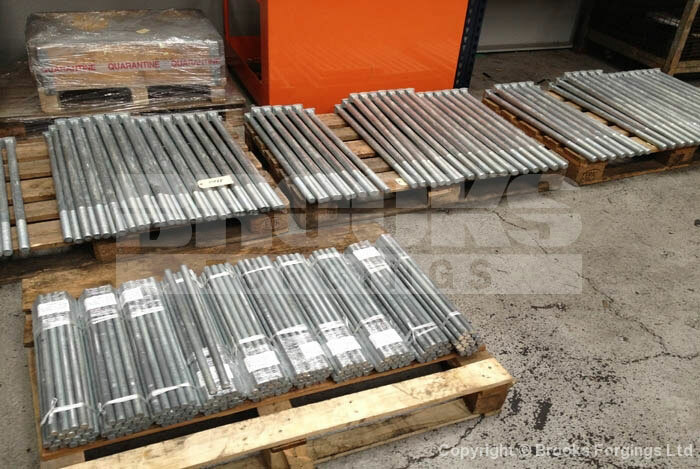 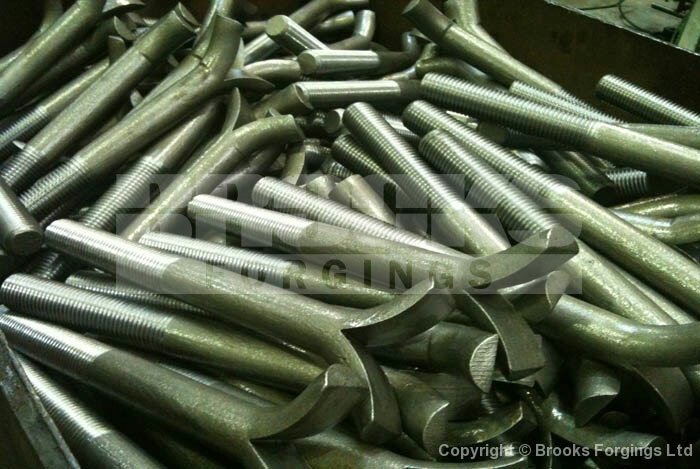 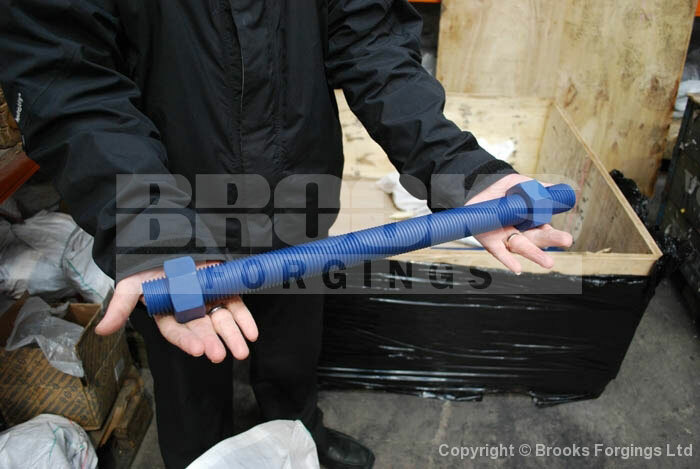 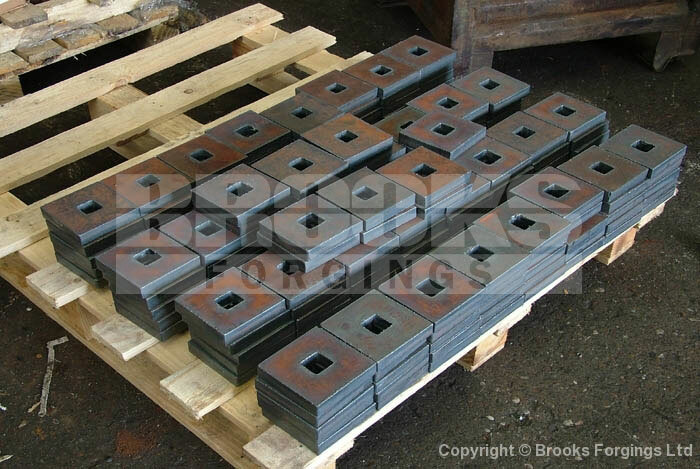 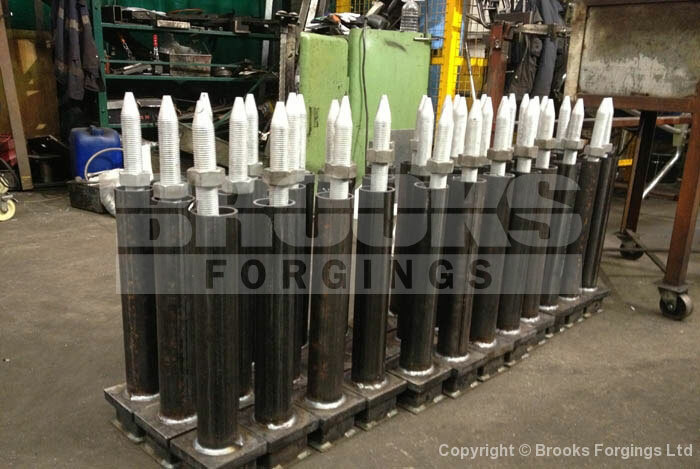 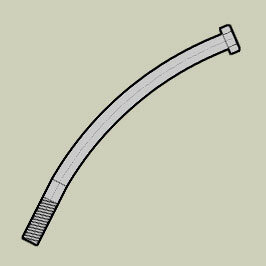 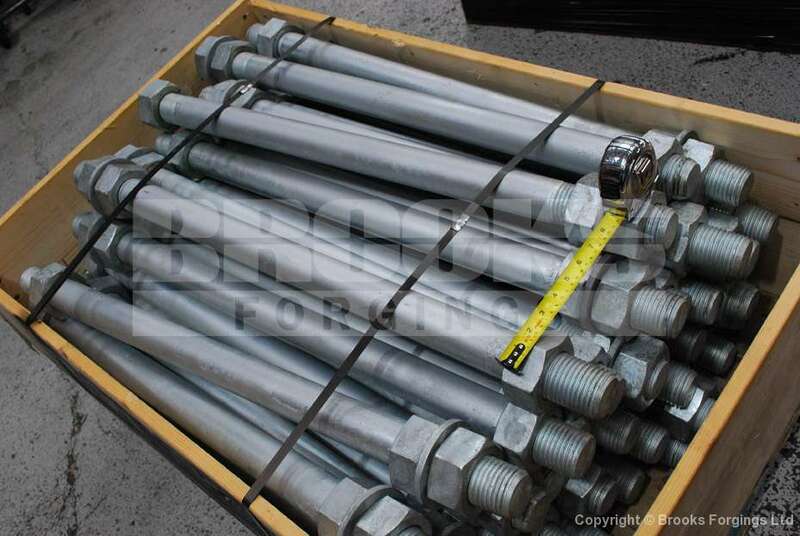 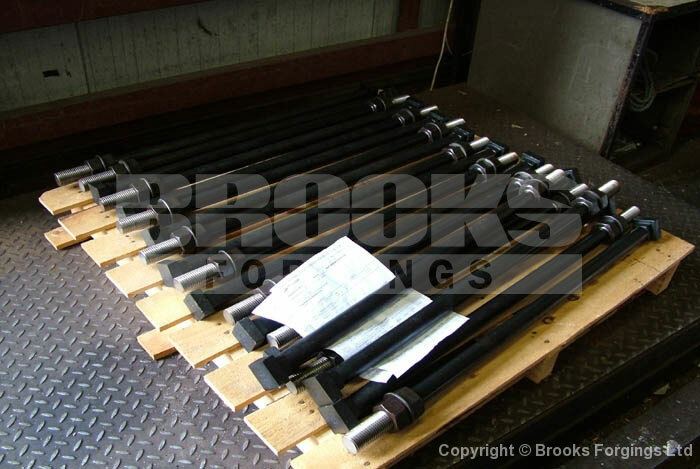 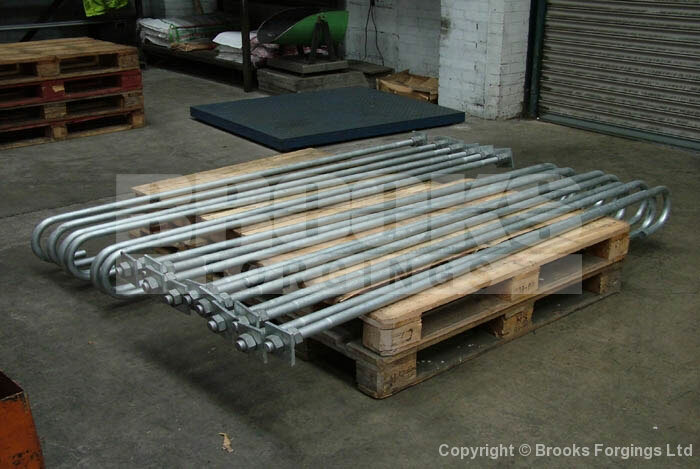 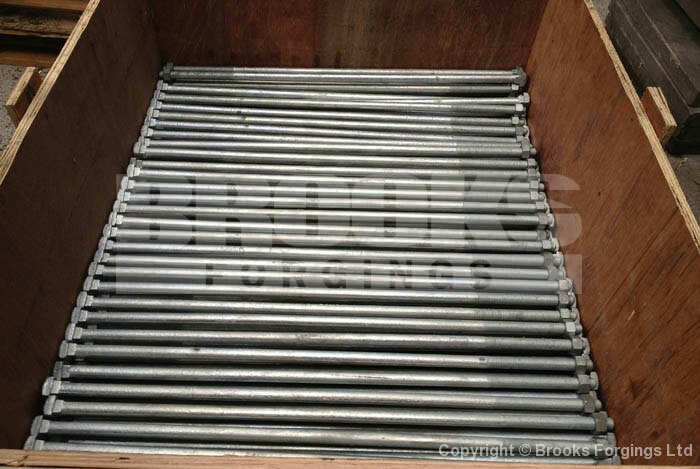 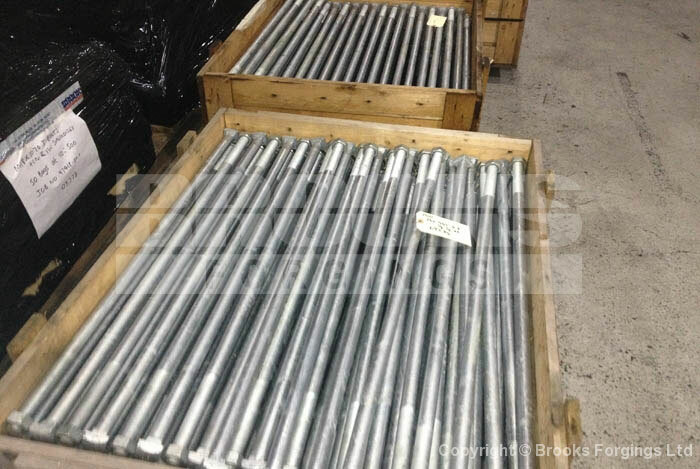 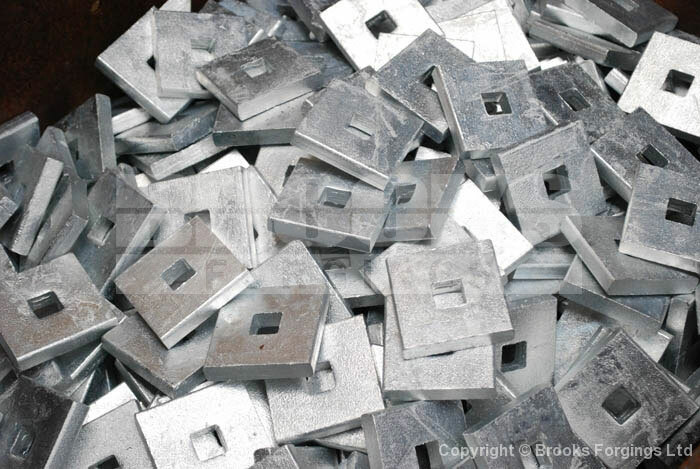 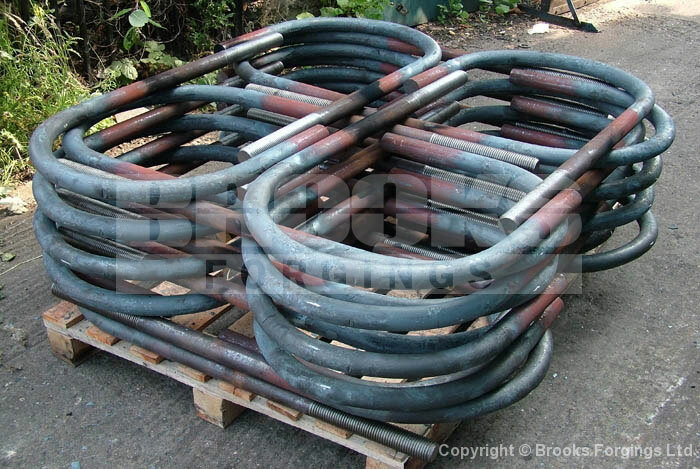 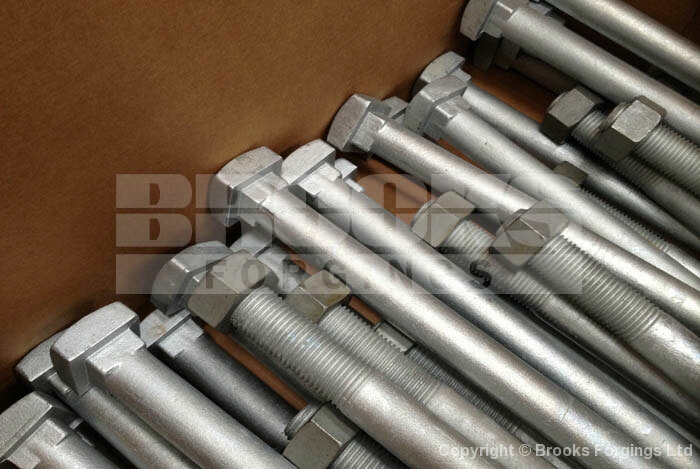 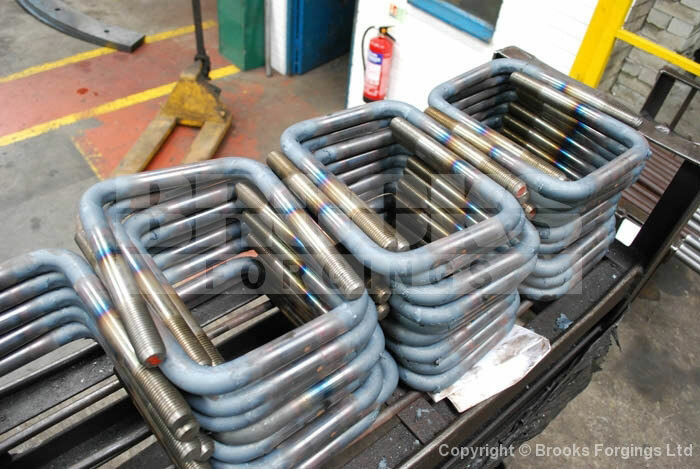 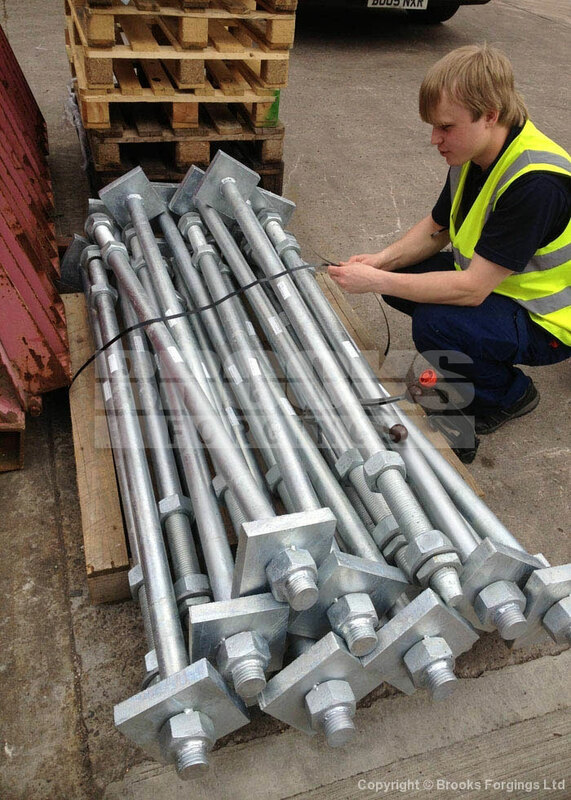 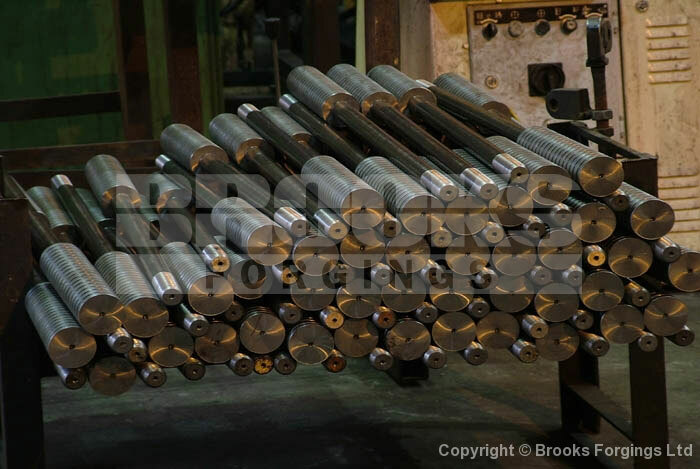 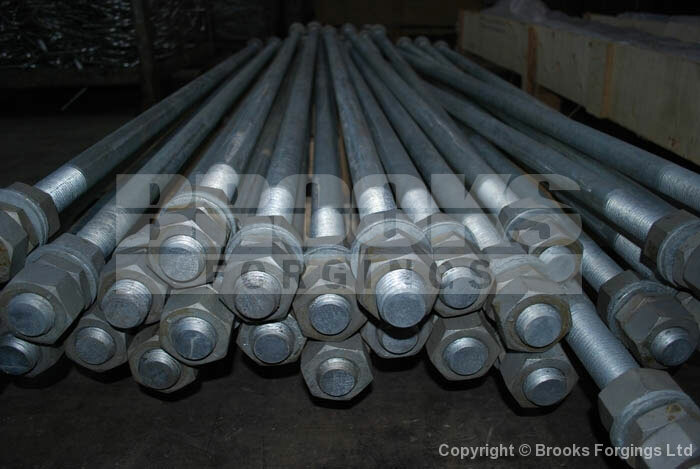 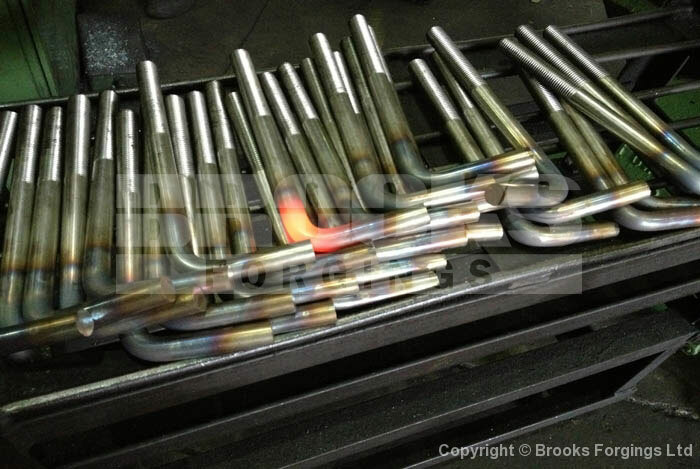 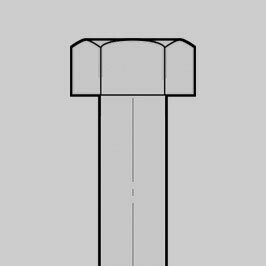 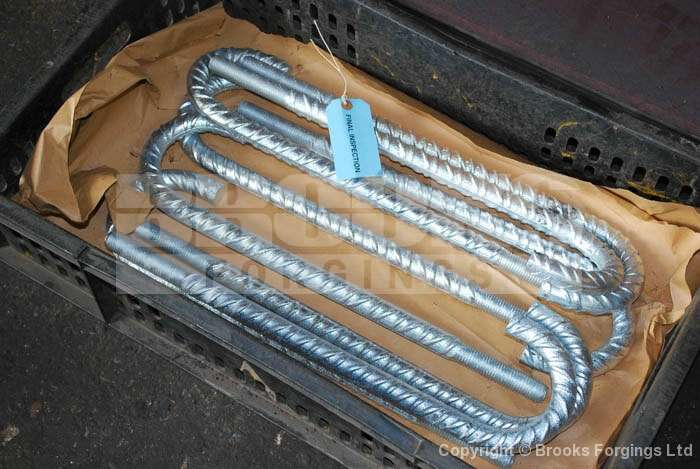 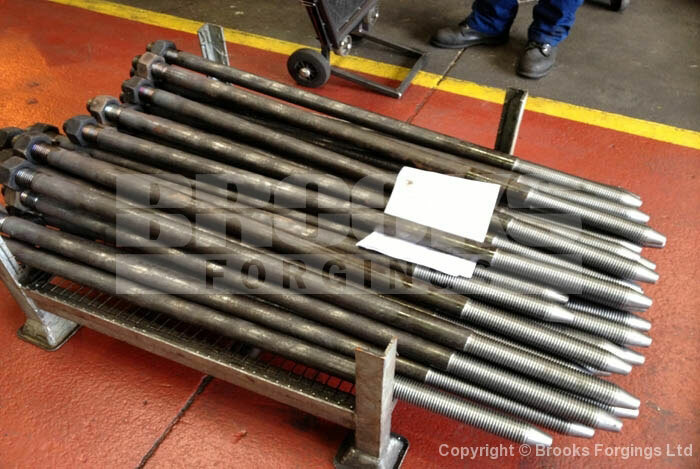 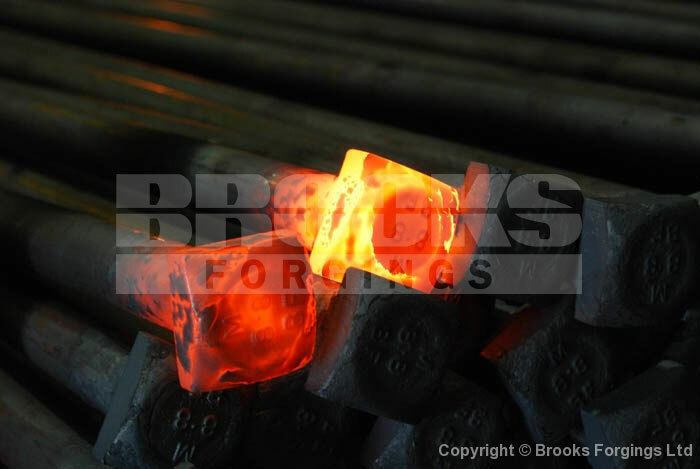 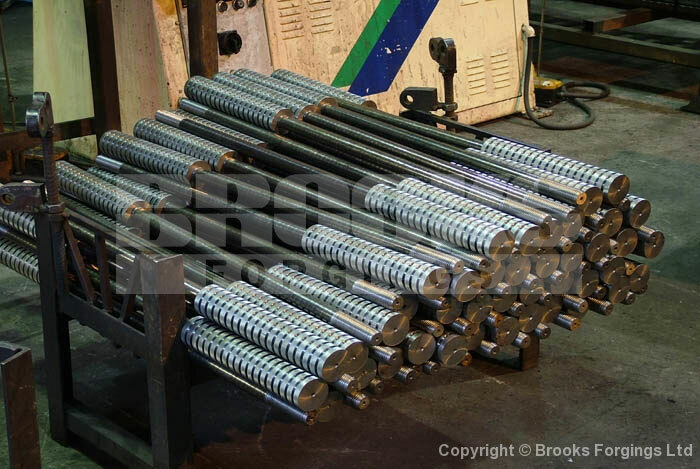 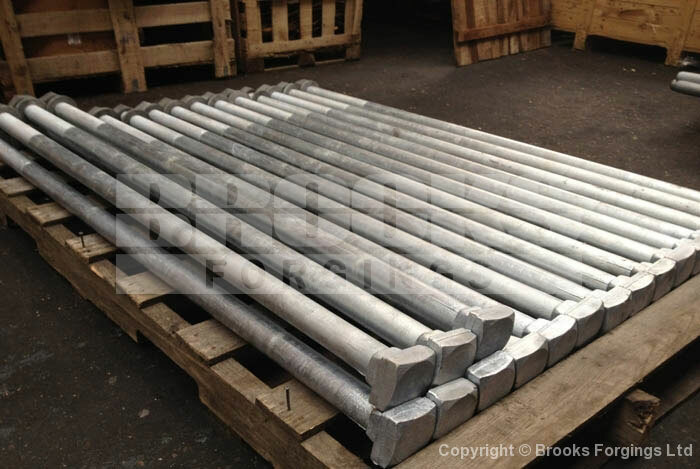 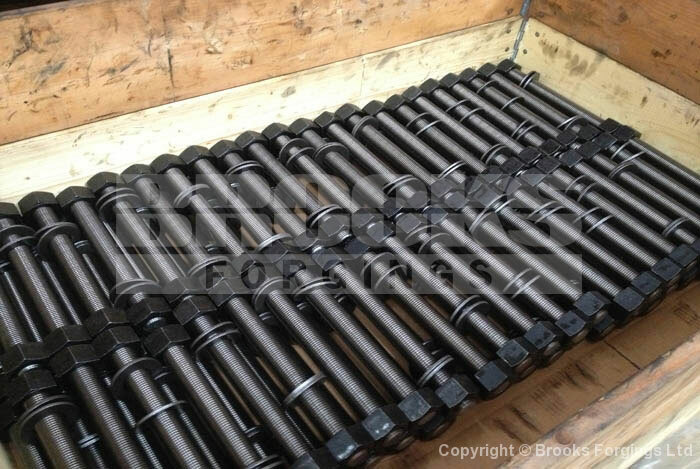 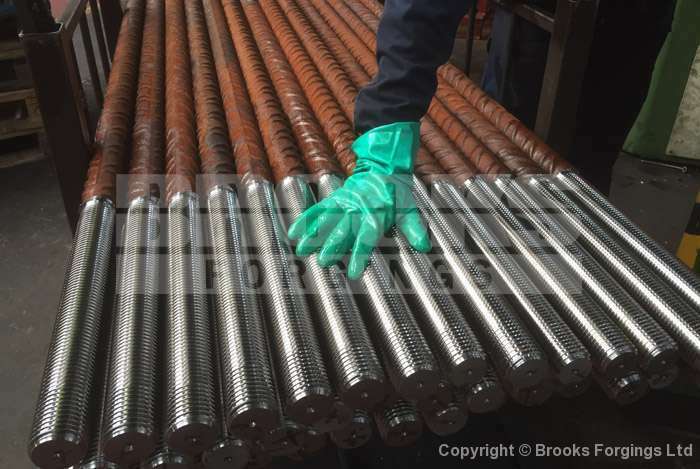 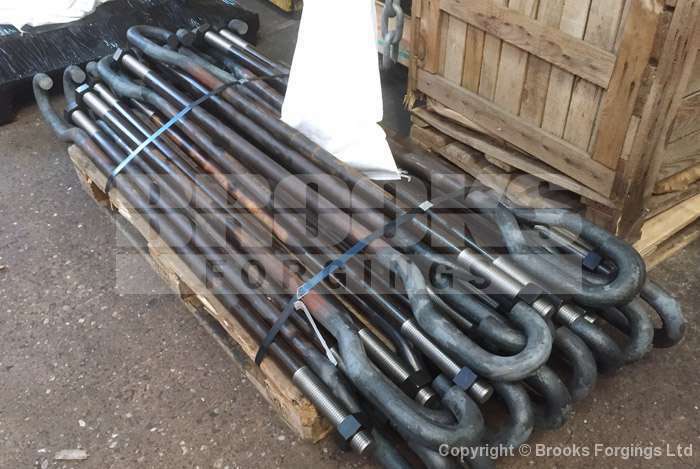 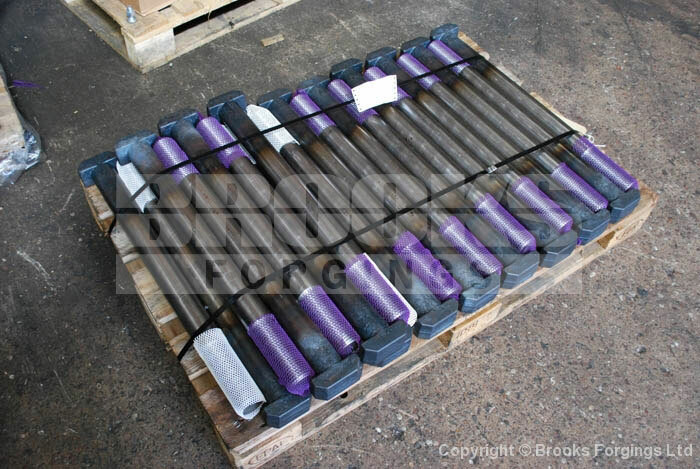 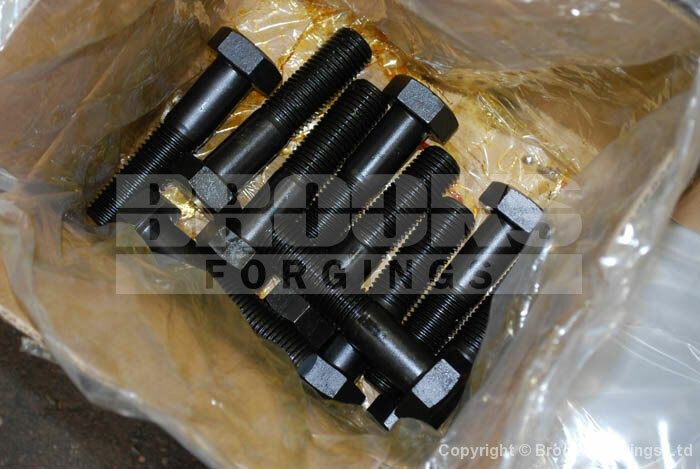 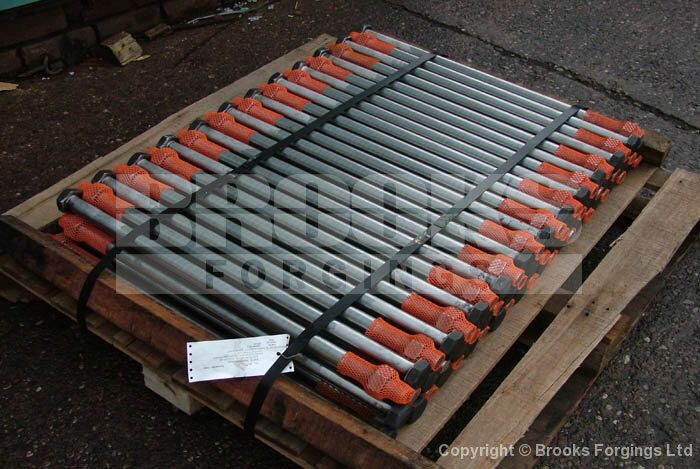 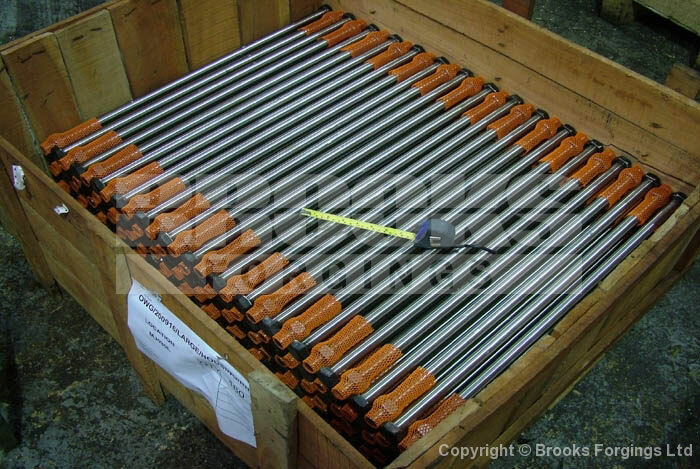 Holding Down Bolts, Structural Bolts, Construction Bolts, Foundation Bolts - UK Manufacturer & Stockist - CE NHSS3 Approved - ©2019 Brooks Forgings Ltd.
We manufacture Holding Down Bolts for the Construction and Civil Engineering industries. 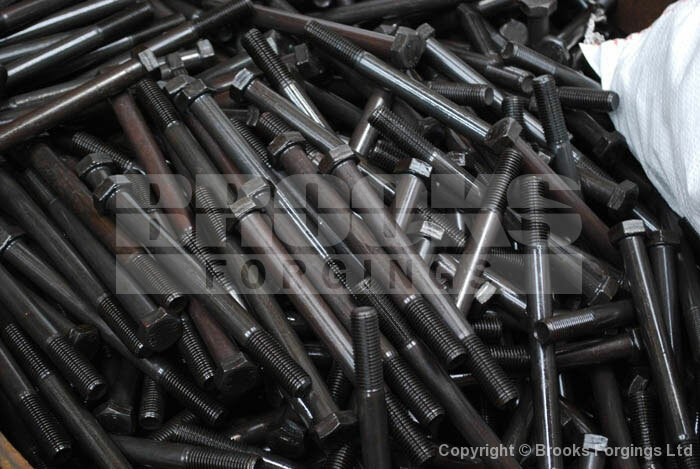 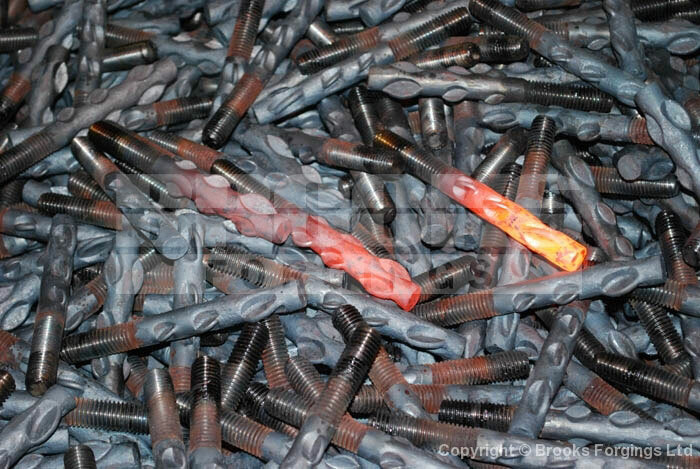 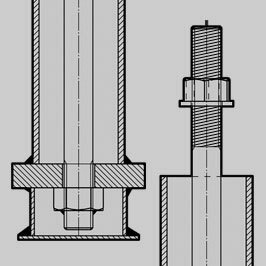 We specialise in the manufacture of STANDARD AND NON-STANDARD bolts and fasteners, producing components daily to our clients exact specifications. 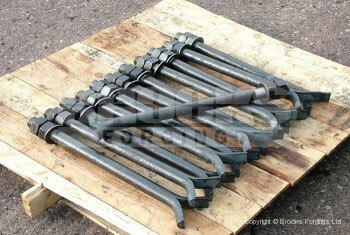 Grade 4.6, Grade 8.8, Grade 10.9 and Grade 12.9. 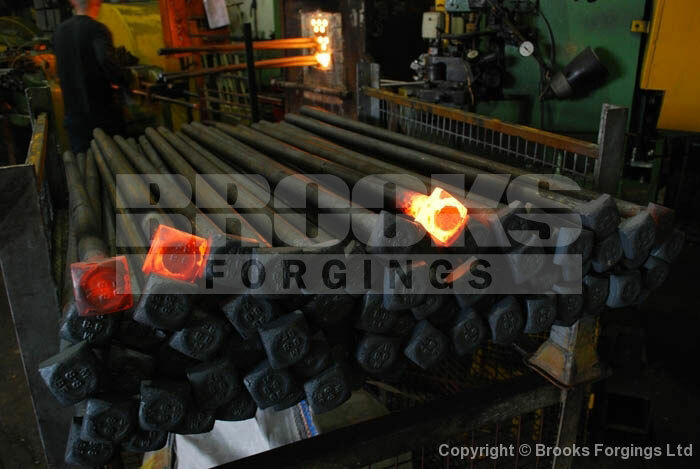 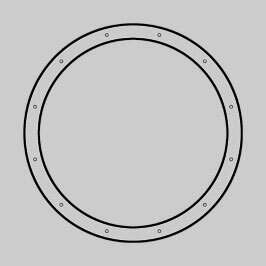 By using our extensive on-site manufacturing processes we are able to minimise the use of sub contractors and maximise turnaround. 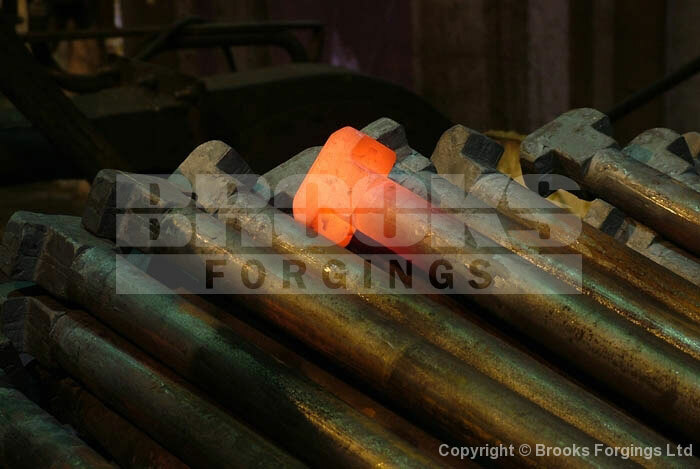 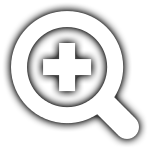 We are committed to conforming with the latest industry standards and operate to ISO9001, ISO14001 and OHSAS18001. 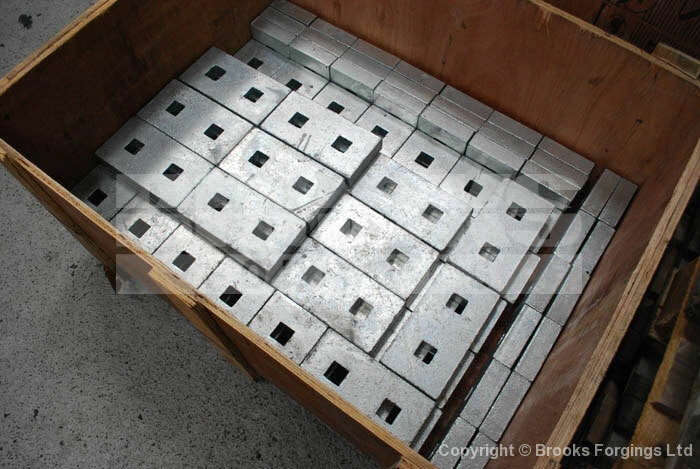 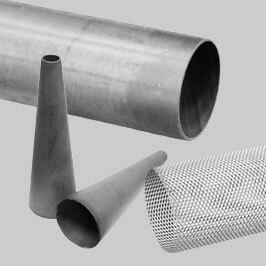 By having an extensive manufacturing capabilities, we are able to provide fabrication services for many civil engineering projects requiring fabricated foundation boxes or tubes. 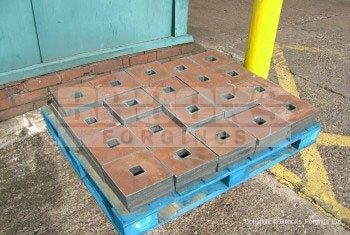 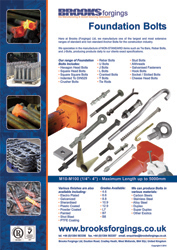 Please contact us today with your requirements. 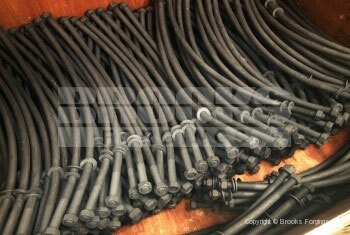 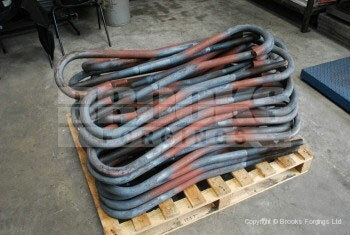 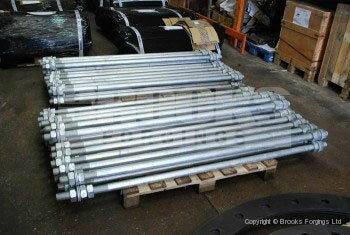 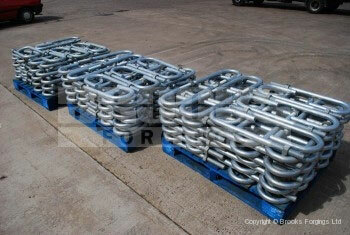 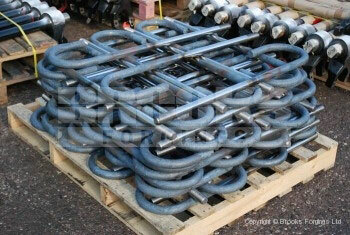 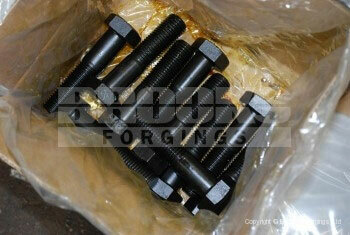 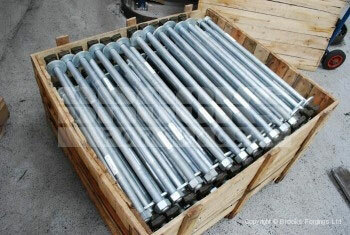 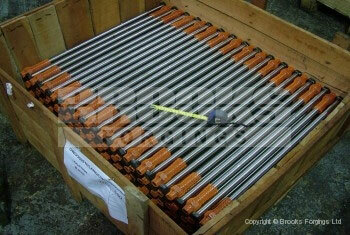 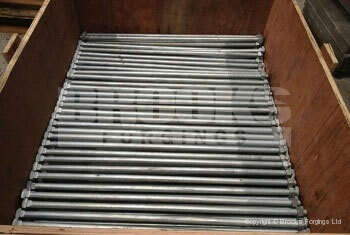 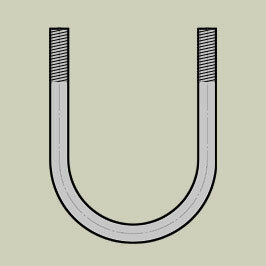 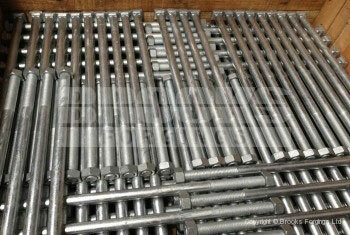 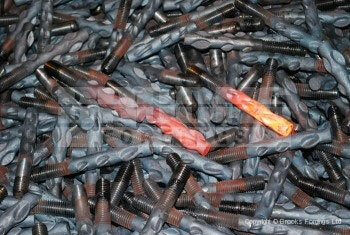 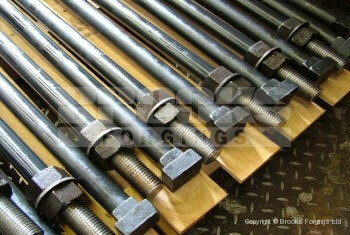 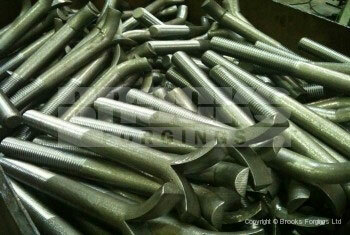 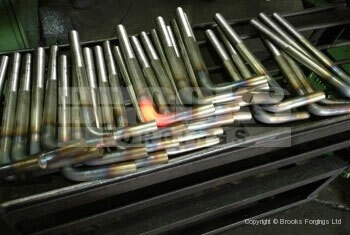 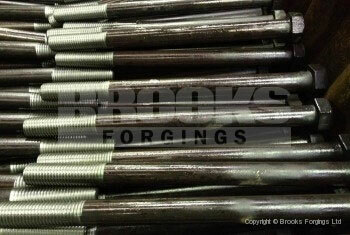 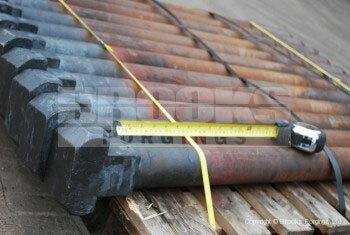 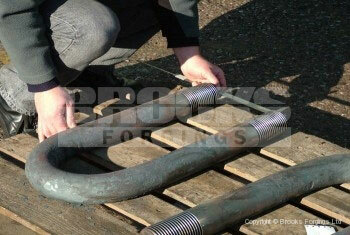 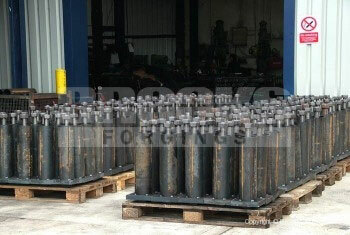 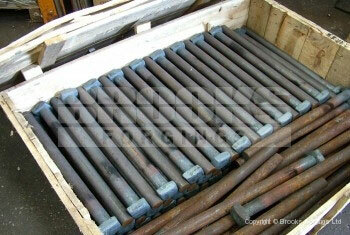 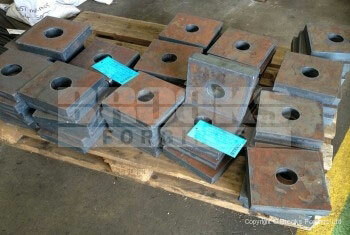 Source all of your bolting requirements direct from one manufacturer. 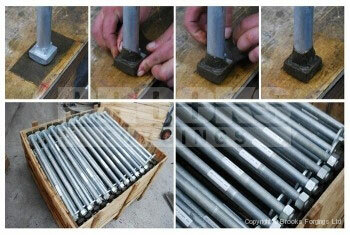 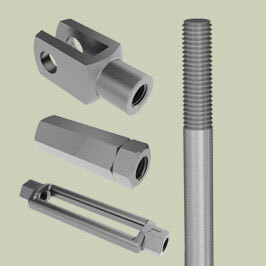 A brief overview of our Foundation Bolt product range. 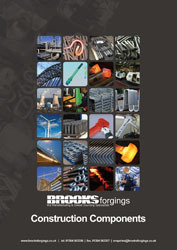 Download a copy of our FULL Construction Component Catalogue for future reference. 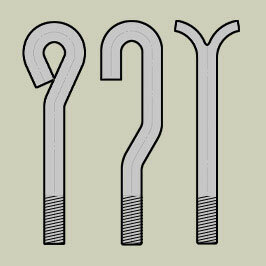 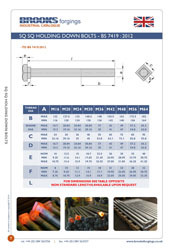 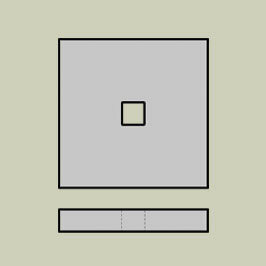 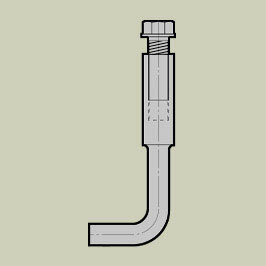 Download a copy of our BS7419 SQ SQ Holding Down Bolts data sheet for future reference.